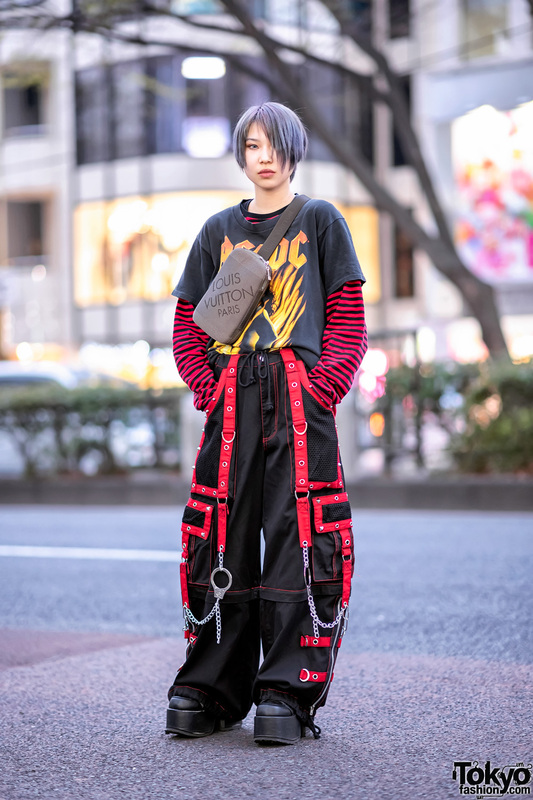 Meet Youhei, a 20-year-old student whose stylish take on streetwear dressing caught our eye in Harajuku. 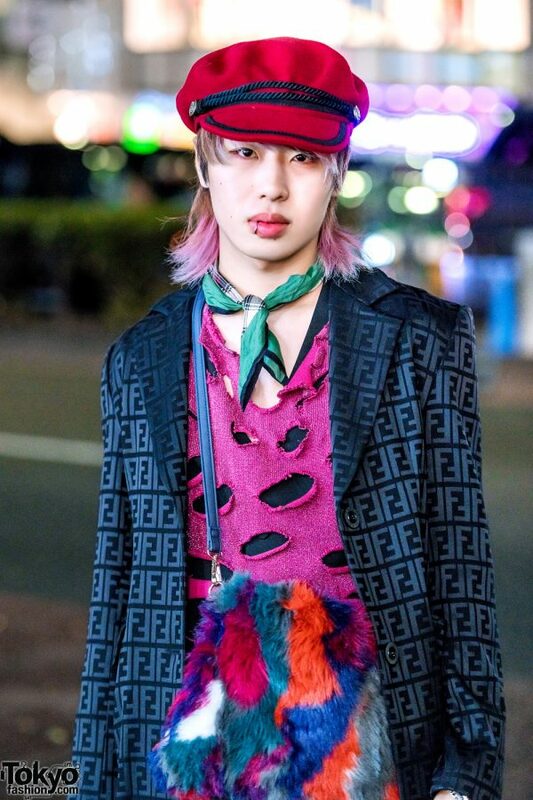 Sporting a red captain’s hat with braided trims on top of his ombre pink hair, Youhei stepped out on the street dressed in a black logo print Fendi coat, which he styled a black v-neck top layered with a distressed pink glitter-fabric shirt, both of which are resale pieces. 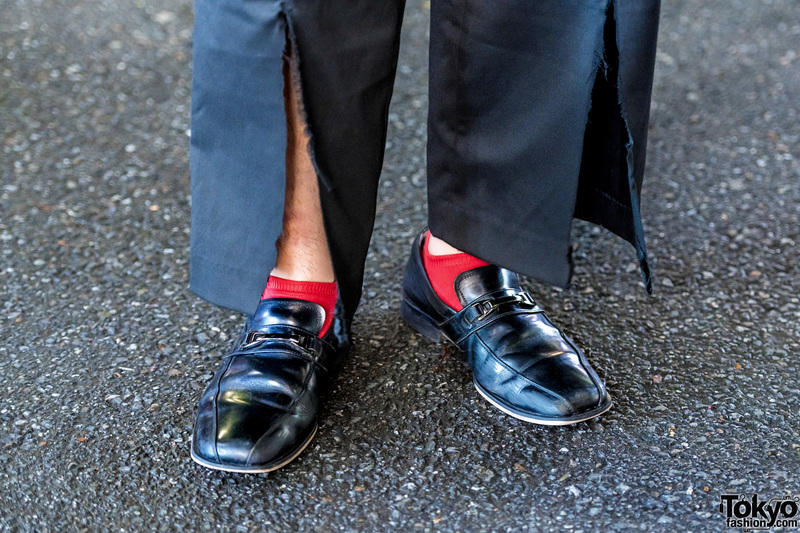 He paired his layered tops with black resale pants with slit center hems, red socks, and resale black leather loafers. 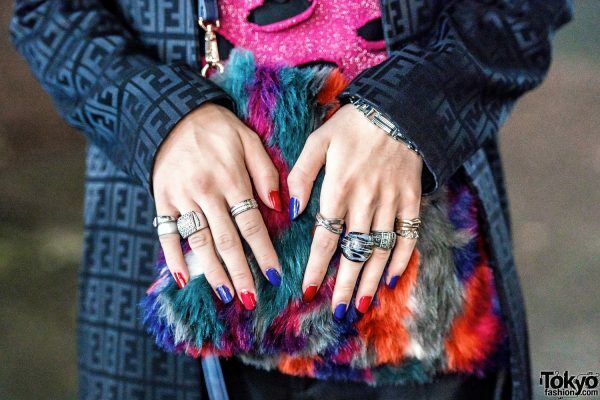 He furnished his look with accessories such as a silver lip ring, a green printed neck scarf, a silver bracelet, and multiple silver knuckle rings with red-and-blue nails. 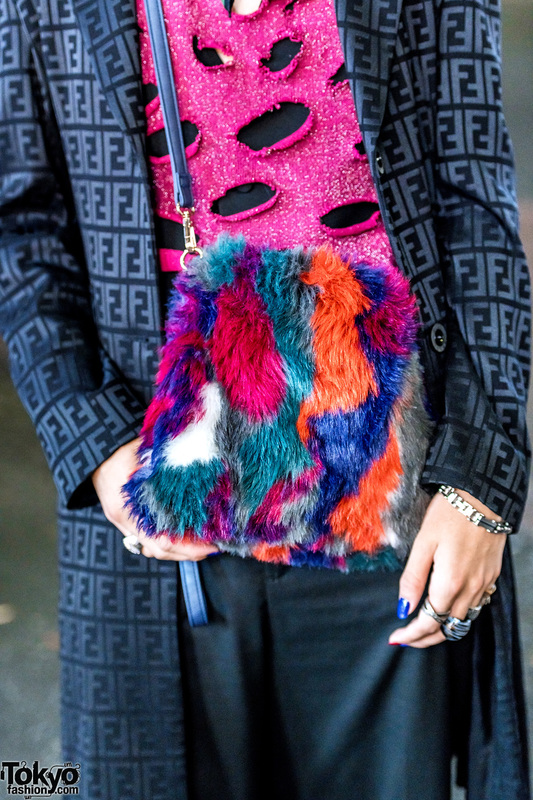 In addition, Youhei is carrying a resale multicolored fuzzy crossbody bag. 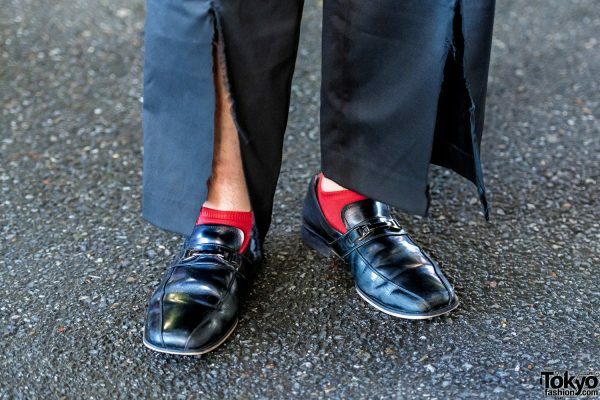 Japanese streetwear brand, Comme des Garcons, is Youhei’s fashion favorite, and he loves the music of One OK Rock. 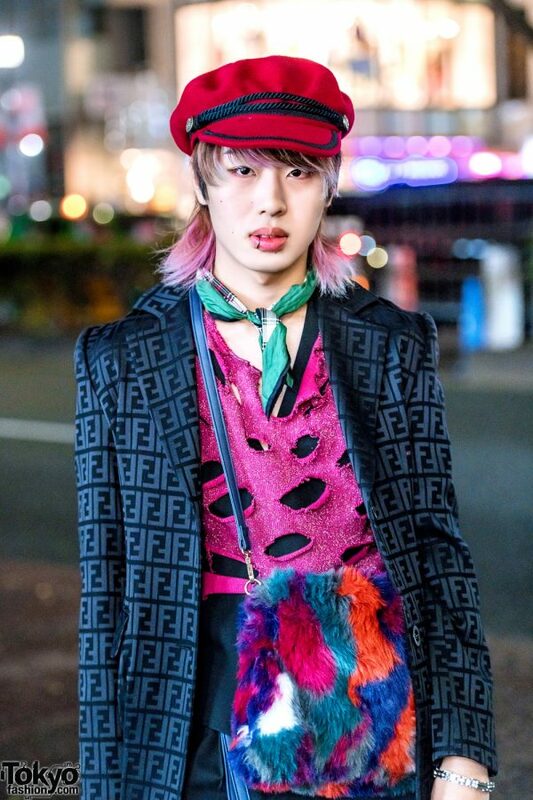 Follow Youhei on Instagram for his social media updates.